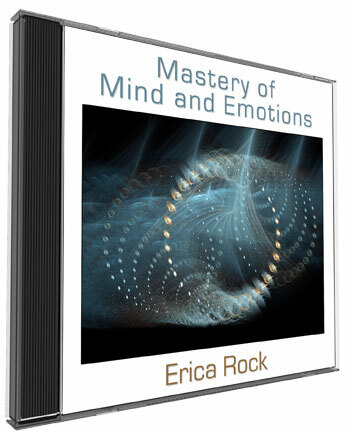 What does this Mastery of Mind and Emotions Program do for you? “The world is as you are.” This program assists in shifting life circumstances by raising the lower vibrations that created them. When we create unwanted events in our life or if we have a desire that has not manifested fully for us yet, there's some lower vibration (resistance) involved. If you get stuck in feelings or have a fear feeling, or want it to go away, this program helps you to accept and embrace ALL feelings and emotions and leads you to true emotional freedom! Where did that low feeling even come from? You may be unaware it is there creating in your life or have no idea where you picked it up. This process helps you raise that vibration to a higher one. Once you change, things outside you change. This process is particularly good for unconscious emotional patterns. You don't have to know what the pattern is, and you don't have to work at it, analyze it, process it, heal it, fix it, clear it or suffer. You just find the feeling, allow yourself to fully feel and experience it and it dissolves and moves on up into higher, lighter vibrations. This is made so much easier through the Grace that flows throughout the program. Allowing yourself to fully feel and experience the feeling frees up stagnant energies that may be associated with events from the past, hurts, burdens and resentments that you are carrying. If emotions and feelings that you refuse to feel are left to fester long enough within the physical body physical pain and disease can result. This process will help free your heart, mind, and spirit, so that you can move forward, creating a more perfect reality for yourself. Attempting to heal it, process it, analyze it, or stuff it deep within you makes the situation much worse for you in the long run! Feelings and emotions are simply meant to be felt. Emotion is energy that wants to move, simply let it and you are free, liberated forever. You don't have to re-live any trauma, drama or story around any past or current unpleasant experience. You'll actually be encouraged NOT to figure it out, this is not for the mind, your power will be found in pure feeling and you are encouraged to stay OUT of the story about it. The process is Divine Alchemy where you can shift and transform relationships, money, health, or any other type of challenging situation, just by relaxing, listening, feeling, and letting go. You can do the process until you get relief. And once relief comes, life will improve for the better. All you have to do with emotion is LET IT MOVE! Let it be done for you with the help of GRACE. Even if it's serious trauma you're dealing with. This process is simple and easy, you feel lighter and freer afterward. Then you'll quickly find that every area of your life begins to improve (you can let in more blessings because your pipes are more open), you feel more connected to life, health improves, stamina increases, you have more vitality and energy, and peace of mind. This process speeds up your enlightenment, gets you connected to your inner wisdom, and brings emotional freedom and liberation, a clean slate! People find that being able to relax and let themselves be guided through this process provides a feeling of safety to go to deep places within they have dared not go before. You were born ready, able and willing to flow any and ALL emotion -- you became conditioned to not trust your own feelings and not express and feel most of them. Return to the natural childlike state that you once were. This process is simple and you can be free forever! Flowing emotion and flowing energy, is key to your freedom and enlightenment. We are not healing emotions . Emotion do not need to be healed they need to be felt ~ vital distinction. ALL emotions are valuable, once you understand and can flow them freely. "Healing emotions" will keep you in an endless cycle of "healing work", because emotions are not supposed to go away! Emotions must be understood, appreciated, and moved. You can begin with this process now and start loving every emotion. You will become free.